A simple and delicious way of using left over boiled potatoes. “Passadas pela sertã” literally means passed through the frying pan. The olive oil, paprika and garlic lend the potatoes a deep and robust flavour as well as an irresistible crispy texture. This makes an excellent side dish for grilled meats. Autumn in Portugal brings lots of goods, just when you think the plentiful summer has come to an end. With the colourful harvest of the vineyards arrive the chestnuts and the magustos, open air festivities celebrating the new wine with chestnuts roasted on a bonfire. 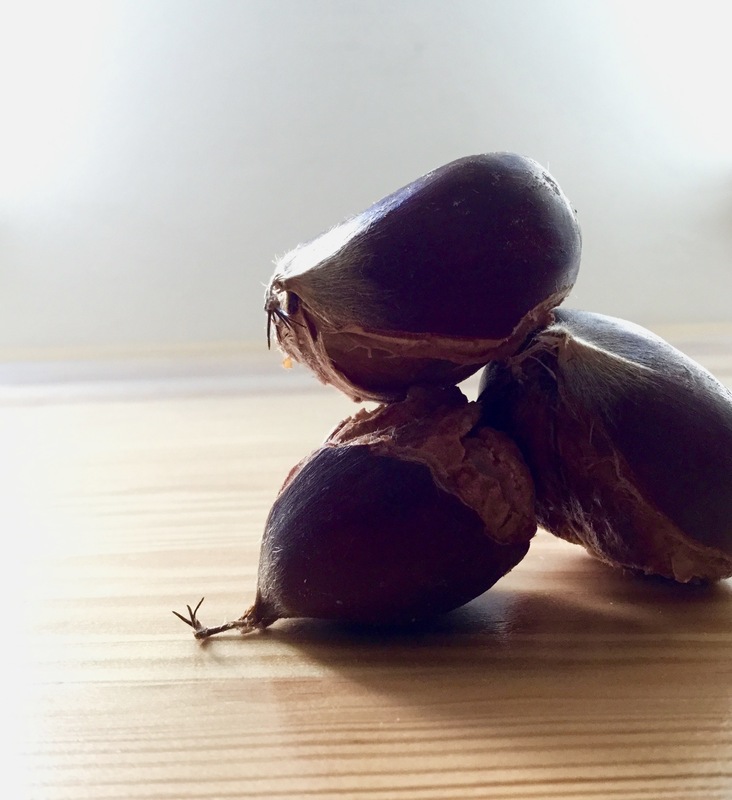 Used as compliments to roast meats or as key ingredients in soups long before the potato was introduced from the new world, the chestnut is now a delicacy usually appreciated after a meal. This is the simplest and perhaps the most rewarding way of cooking chestnuts. While traditional roast chestnuts bring out a crispy and fluffy texture, boiling them brings out their unique sweet and nutty flavour. Read about São Martinho, the chestnut day par excellence!